The designer who created this stairway railing system is creative, very creative. See how beautifully the iron rods spiral and knot. 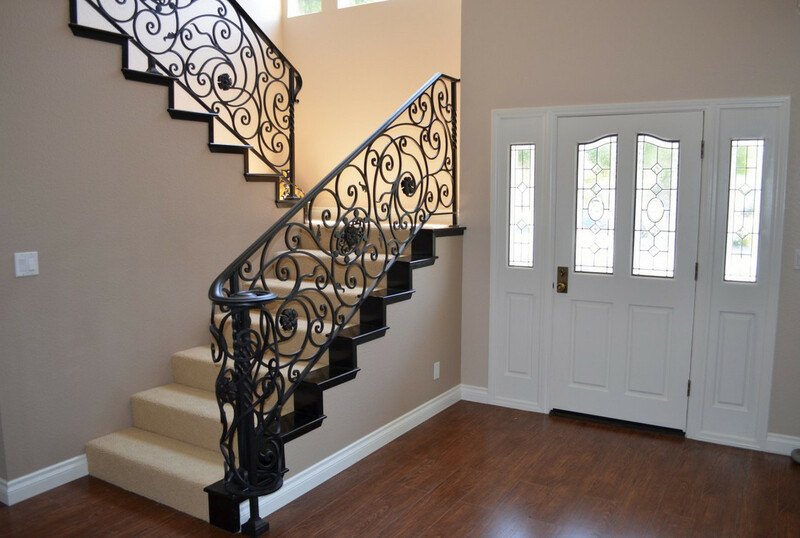 If you like something artistic, choose this railing system for your home. It is black and so it goes with the white and grey surroundings. There is a lovely black strip going up along the staircase too.